Nothing beats pizza…or automated workflows for your two-sided marketplace. With Kustomer, we now have insights we can use not only during the lifecycle of a single transaction, but that continue to inform business processes and client relationships. Slice is dedicated to uniting and empowering local pizzerias with the technology, data and marketing needed to grow their business. 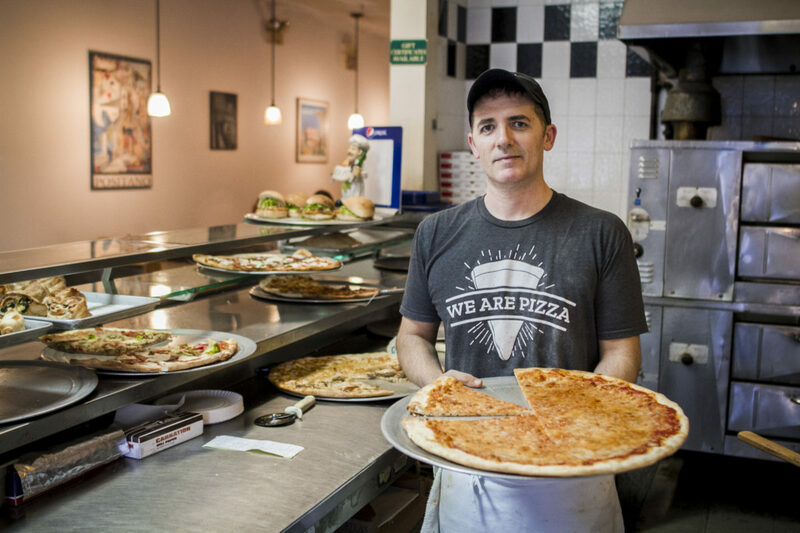 Their goal is to be true partners to their pizzeria owners, allowing them to create better relationships with their customers and growing their offering through simple, meaningful and cost effective products and services. Back in 2016, Slice was ready to expand their operations. They came to realize their homegrown customer management system was preventing the company from scaling the way they had hoped – there was no notification system, no way to track tickets, no workflows and discovering insights or analyzing data was near impossible. The team began to research more robust ticketing systems, specifically looking for one that was able to support a two-sided marketplace. “Our business is fairly unique in that we stand in the middle of a two-sided marketplace, so not only are we providing support for customers that are ordering through our products but also for the restaurants that are fulfilling these orders,” says Chin. It wasn’t long after that Slice became one of Kustomer’s early adopters. Kustomer was unique to all the support tools we tested in that it did a great job giving us a singular view of these transactions and an efficient path to response, while allowing us to treat both our consumers and our pizzerias as customers. It provided a history of interaction with our brand and products that we could use to make sure the support we provided was both comprehensive and immediate. Kustomer was rolled out during Slice’s busiest customer service period to date – the middle of a blizzard. The system was immediately put to the test and team members were able to efficiently handle the rush and deliver high quality support. Slice created over 100 workflows within the first two weeks to automate normal business processes. This allowed their customer service team to spend their time with customers instead of trying to find information. Over the past few months, Slice has implemented queuing and routing, which is now Cody’s favorite platform feature. The queuing and routing system has allowed us to respond extremely efficiently and has empowered our support team to meet aggressive SLAs through multiple channels including chat and SMS. Slice has seen efficiency and quality benefits with Kustomer. For example, several frequently used tasks have decreased from 5 minutes average time to only 1 minute. Kustomer also gave Slice much needed visibility into their internal processes, enhanced their quality control and increased each team’s capacity and resolution time. 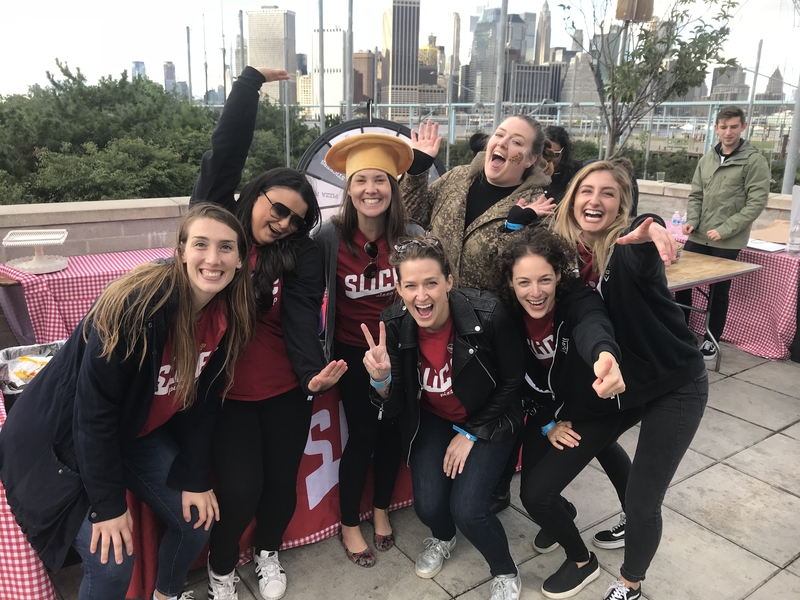 With added insight into their data, Slice was able to determine peak times and make hiring decisions to ensure their team was properly staffed. Aside from the data insights and operational efficiencies mentioned above, Kustomer has allowed us to speed up our servicing lifecycles and enabled us to scale with the needs of our growing customer base. It has also allowed us to funnel product requests back into our roadmap more effectively than ever.